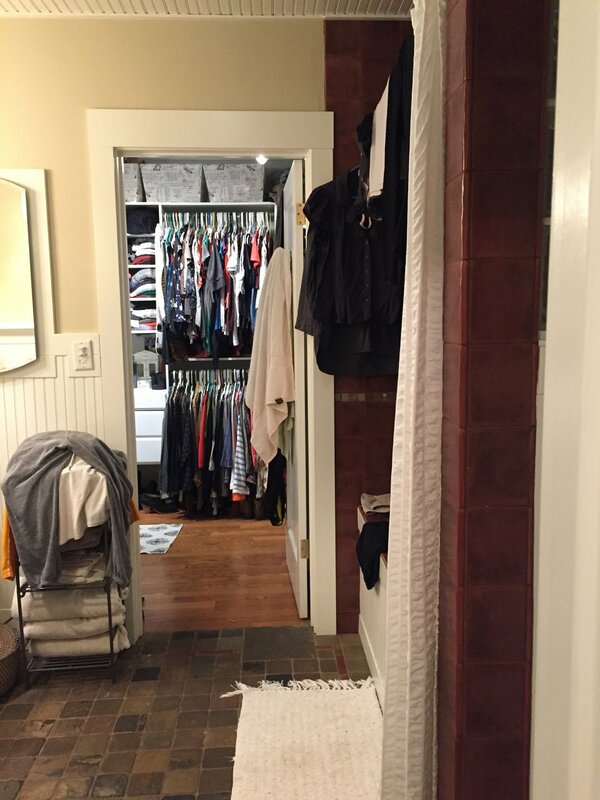 This client was frustrated with her dark bathroom and adjacent cluttered wardrobe. 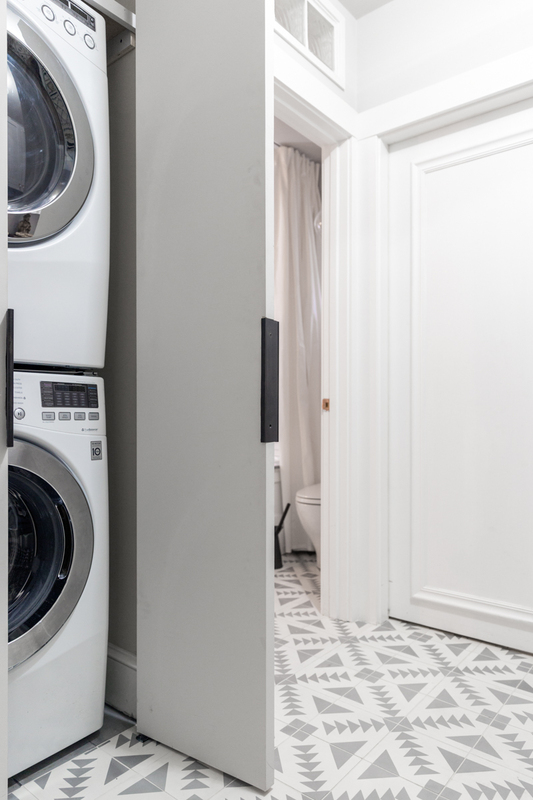 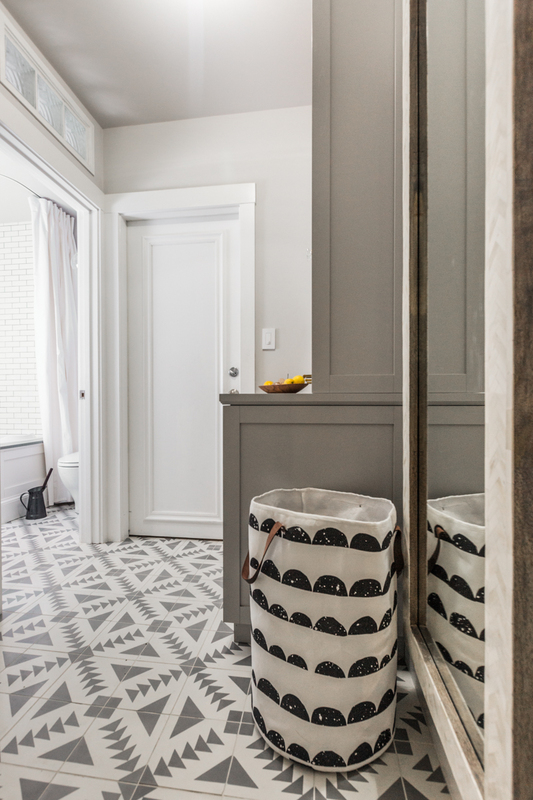 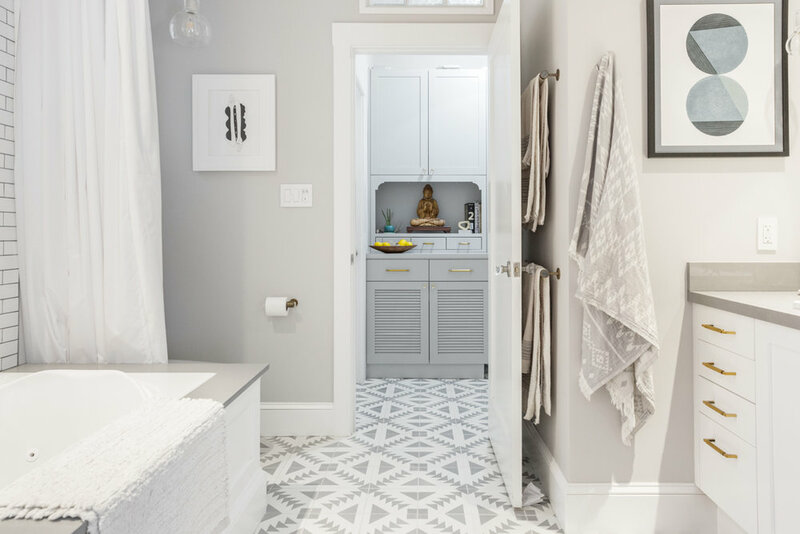 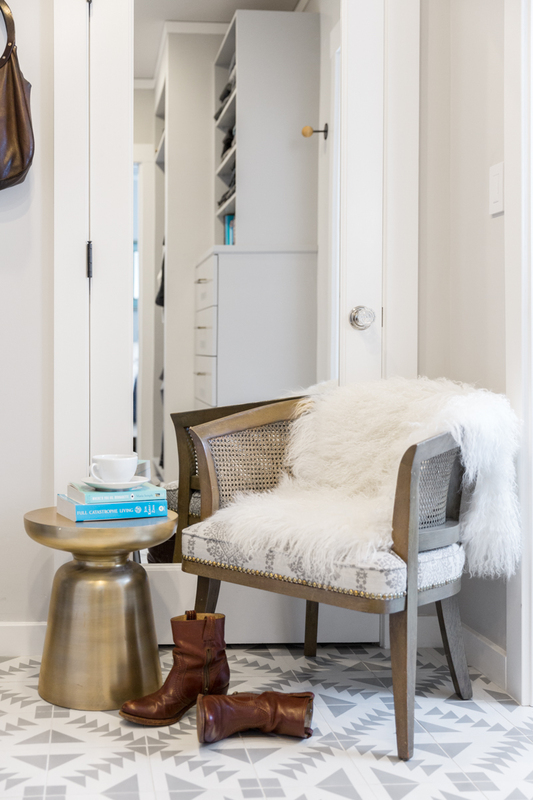 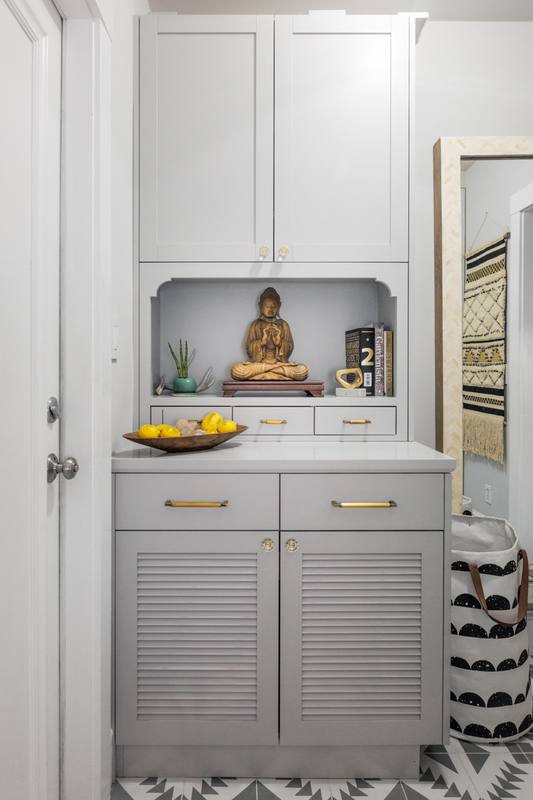 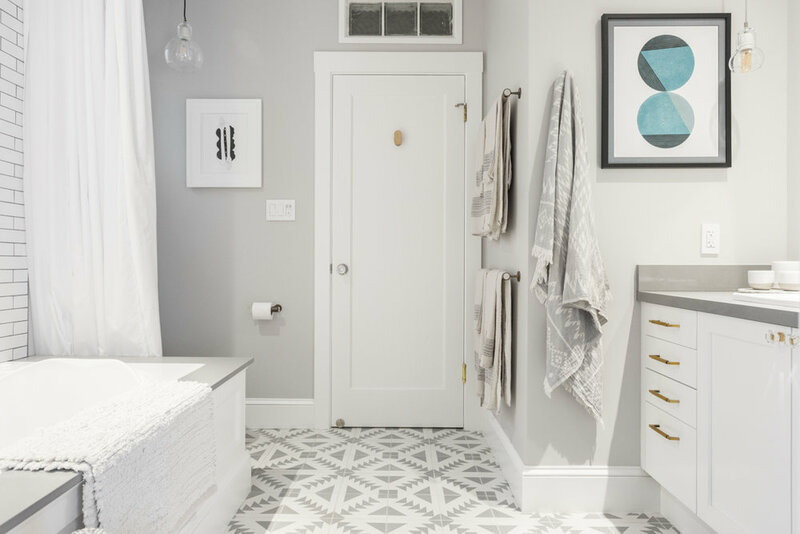 Cool grey and whites calmed the space down and playful patterned tile keeps things interesting. 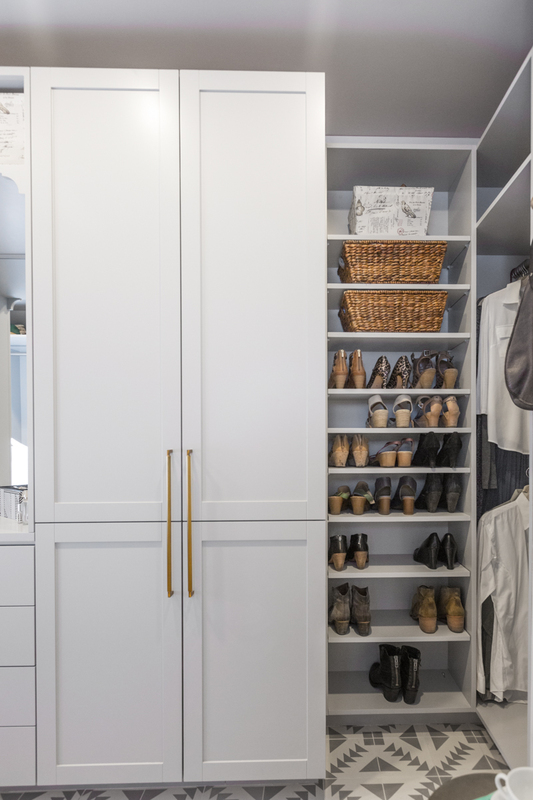 New cabinets in the wardrobe were designed to maximize storage and tame the chaos. 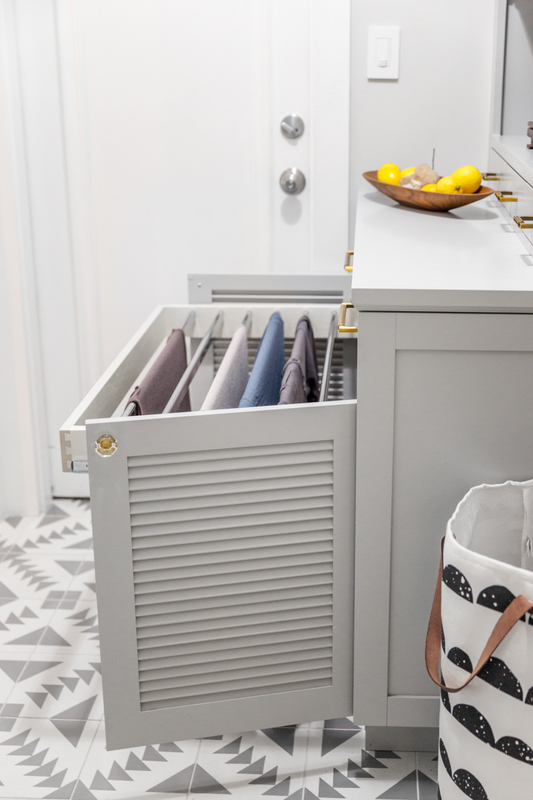 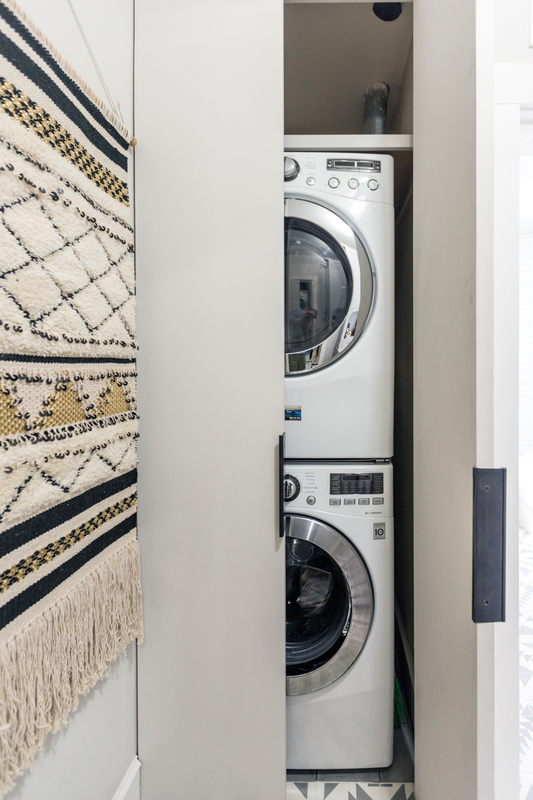 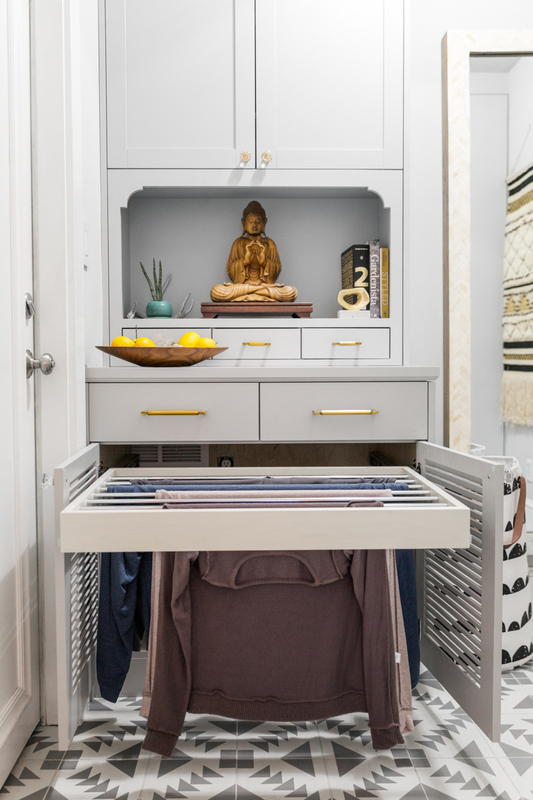 A special cabinet in the laundry room does double duty as a drying rack to get damp delicates out of sight.